DreamHack has a ton of activities and entertainment to offer, and as a visitor (especially as a first-timer) it can be a bit overwhelming. 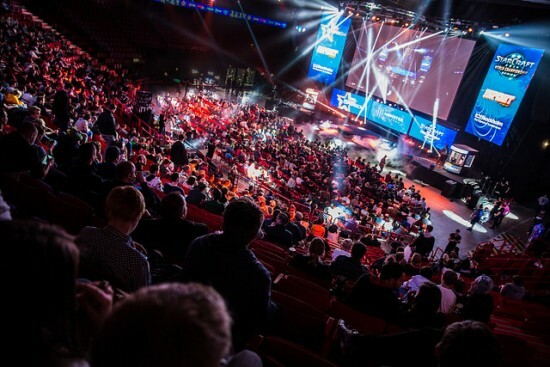 Besides its giant LAN area consisting of almost 9000 seats, one of the biggest reasons to visit DreamHack is its huge influence on the professional eSports-scene. Every edition, DreamHack hosts a variety of live professional gaming tournaments, most of which have international teams and players competing for gold and glory. So if you’re a giant fan of eSports or just curious as to why everyone’s so hyped about it, you’ll feel right at home watching these tournaments. Let’s see what’s in store for us for the winter edition of DreamHack 2017! Counter-Strike: Global Offensive DreamHack Astro Open. All of these tournaments will be played and can be viewed live during DreamHack, and you can be in the audience! Of course all of it will also be livestreamed online but nothing beats watching the big plays as part of a live crowd cheering for your favorite team. For the uninitiated or more casual gamers, DreamHack also offers a handful of BYOC tournaments, meaning everyone can compete! These tournaments aren’t on the same scale as the professional competitions, but can still guarantee some excitement and fun. What games will be played has not yet been announced, but the main focus will be on games in the FPS, MOBA and RTS genres with a few other mystery games thrown in the mix. To compete, all you have to do is sign up when possible and be present in the BYOC area when the matches begin. Occasionally a few Dutch professional gamers travel with us to Sweden to compete in the tournaments. In the past we’ve had Packers hailing from one of the bigger Dutch eSports teams, ECV eSports, perform very well against dangerous opponents. For example, as a relatively unknown player Sjaak from ECV managed to go the distance in the StarCraft 2 competition. Dedication and hard work got him this far which got us thinking about all the things that go on behind the scenes of professional eSports. We set out to find out more about this and made a documentary with our findings. Will you compete in one of the many tournaments DreamHack has to offer? Join Pack4DreamHack on our travels to Sweden and try to beat the other competitors. Who knows, you might even end up on stage triumphantly holding the grand prize up in the air! See you there and remember to always go for gold!